Einfaches Aufnehmen aller Bildschirm-Video- und Audioaaktivitäten mit hoher Qualität in jedem Format. 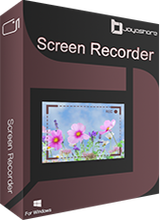 Joyoshare Screen Recorder 1.0 war am 3. Mai 2018! als Giveaway verfügbar! 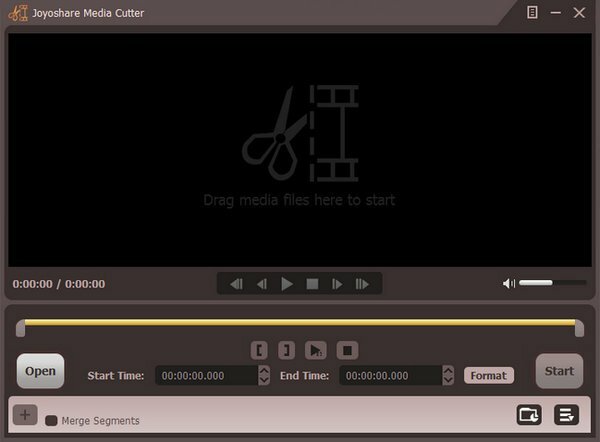 Eines der besten Videokonvertierungtools zum Umwandeln von über 150 Video- und Audioformaten wie z.B. MP4, M4V, MOV, MKV, FLV, AVI, WMV, WAV, MP3, OGG, M4A usw. sowie zum Rippen von DVDs in diverse Formate, zum Abspielen von Dateien auf Apple iPhone, Samsung Galaxy, HTC, Xbox, PS4 usw. Darüber hinaus kann euch dieses Tool beim Bearbeiten von Videodateien mit diversen Spezialeffekten helfen. Schlauer iOS-Foto-Konverter zum Konvertieren von Apple iOS 11 Bildern auf iPhone X, iPhone 8/8 Plus, iPhone 7 / 7Plus von HEIC / HEIF zu JPG, PNG, TIFF, GIF, BMP, WEBP ohne Bildverzerrung. Mit Hilfe dieses leistungsstarken HEIC-zu-PNG-Konverters könnt ihr jedes HEIC-Foto frei auf Fotosoftware, Mobilgeräten und Windows teilen. Eigentlich genau nach meinen Bedürfnissen, die Qualitätseinstellungen etc. passen. Allerdings arbeite ich mit 2 Monitoren und es funktioniert ausschliesslich am Hauptbildschirm. Schade, dass man hier nicht die Möglichkeit hat, auch am 2. Monitor diese Software zu nutzen....Lösungsvorschläge? Oder gibt es eine "versteckte" Einstellung dafür? Eigentlich genau nach meinen Bedürfnissen, die Qualitätseinstellungen etc. passen. Allerdings arbeite ich mit 2 Monitoren und es funktioniert ausschliesslich am Hauptbildschirm. Schade, dass man hier nicht die Möglichkeit hat, auch am 2. Monitor diese Software zu nutzen....Lösungsvorschläge? Oder gibt es eine "versteckte" Einstellung dafür? Hat mir gut gefallen. Interessant ist, dass die Bildfrequenz automatisch an die Systemleistung angepasst wird. So hatte ich mit mp4-Codierung bei Full-HD ca. 15fps, bei geringeren Auflösungen gings dann rauf bis 60fps. Bei geringen Bildfrequenzen ist die Wiedergabe zwar nicht ganz so flüssig, dafür werden aber Ruckler und Aussetzer verhindert. Die Aufnahmequalität ist wirklich einwandfrei. Ich verstehe nicht so ganz, warum diese Software von sich behauptet "die fortschrittlichste" zu sein. Es gibt andere Software in dieser Art die weitaus mehr kann, z.B. auch Export als Animierte GIF und integrierter Videobearbeitung. Installation / Registration: Fine. Tells you in the license that it is going to dial home. Writes the word 'musics' instead of 'music' throughout the license agreement. I tried it with a game and accepted the defaults and played the game while it was recording. very nice mouse click indication. sound is out of sync if you play the video outside of the software's interface - and this is a deal breaker for me. If your sound and your video doesn't start at the same time, the audio will start anyway when the video starts and not in the right place which means that the two are not in sync. So for instances where you have intermittent sounds or music this software is useless. Installation / Registration: Fine. Tells you in the license that it is going to dial home. Writes the word 'musics' instead of 'music' throughout the license agreement. I tried it with a game and accepted the defaults and played the game while it was recording. 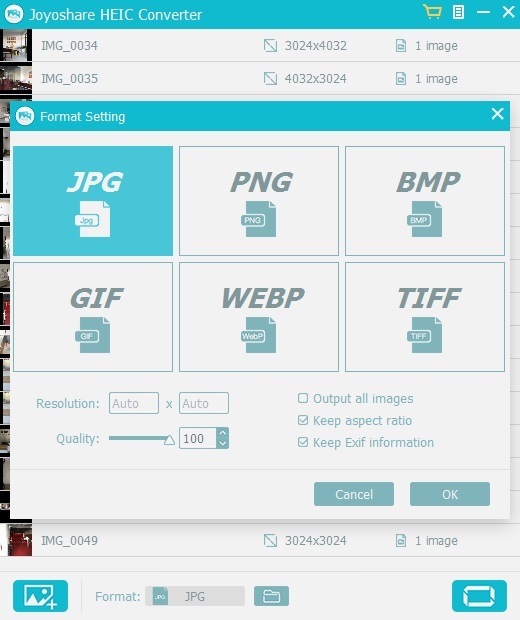 Pro's: Easy to use; good quality image; automatically saves when you end; will show you where the file is stored and allow you to change the name; you can see a preview and manage the videos through the interface; very nice mouse click indication. Cons: Very small interface and you can't enlarge it, when minimised to system tray you have to go find it there to stop the video; doesn't allow you to change the default storage area; sound is out of sync if you play the video outside of the software's interface - and this is a deal breaker for me. If your sound and your video doesn't start at the same time, the audio will start anyway when the video starts and not in the right place which means that the two are not in sync. So for instances where you have intermittent sounds or music this software is useless. You can not expect that any Screen Recorder can make an excellent video from a 17/19/21/23 inch screen, not even a 27-inch screen. Not even as the quality of a Joytube video or .... whatever you can download, is poor. Not even if you're running a 4k movie where you're mostly tied to a 1920x1080 resolution. That is still the most screens. .... all popular devices such as iPhone, Android, etc. I would like to see the quality of those things, even if there are subtitles. More than poor. You can not expect that any Screen Recorder can make an excellent video from a 17/19/21/23 inch screen, not even a 27-inch screen. Not even as the quality of a Joytube video or .... whatever you can download, is poor. Not even if you're running a 4k movie where you're mostly tied to a 1920x1080 resolution. That is still the most screens. .... all popular devices such as iPhone, Android, etc. I would like to see the quality of those things, even if there are subtitles. More than poor. 1920x1080 is all that most screens can display and that IS "High Definition." While you can RECORD higher resolution, such as 4K with the suitable equipment, you can't actually SEE anything higher than your screen supports. To see higher resolution you need a 4K screen. A "Screen Recorder" can only RECORD what is on the screen, not anything more. It can be expected to record EXACTLY the same quality you can see. Very few videos available today on the net are higher in resolution than 1920x1080 and a great many are somewhat lower. SD TV (Standard Definition TeleVision) is 640x480 as I recall and for the better part of 100 years everyone thought that was just fine. So if you can record 1920x1080 you are likely getting all the quality that is there to get and certainly all that your monitor can display. It would be nice if you would tell the company that you are offering the system requirements to run on only 64-bit systems! I would have spared an unnecessary installation for me. True, you can search the company's website, but since we're downloading the program from here, I'm here to look at it first. And if someone does not say that only one of them, then I assume it's good for 32 bit and 64 bit too. Thanks for the disappointment that I can not use it, but I've already wondered if I might have a good screen recorder. It does not apparently seem to be aware of Vista or better sound subssytems and the WASAPI system that permits the purely digital interception of outbound sound data streams so that even sound chips that don't have a waveout or soundmixer or other input pin for capturing the systems audio output can still capture the systems sound in the software domain without having to resort to pseudo soundcard drivers and T filters to redirect the audio around and about the houses... Nice try but no better than free tools from early 2000's We are over 10 years after WASAPI introduction and this is a new development project so come on use current technology and not technology close to two decades old!